All of West Branch Angler's river access and guided trips are fly-fishing only and we practice catch and release. 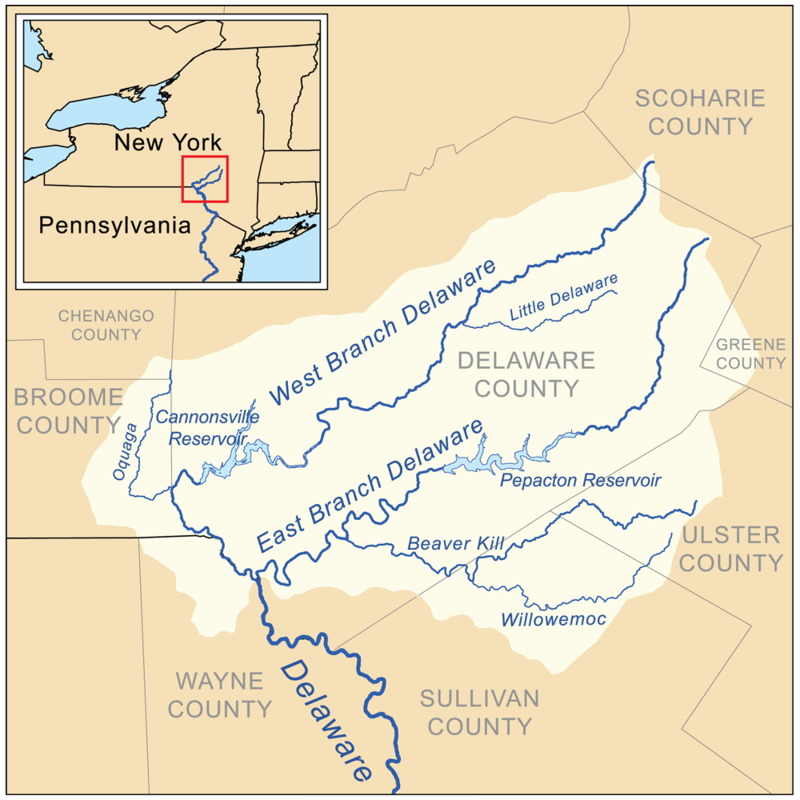 The upper Delaware system is made up of two tailwater rivers - The East and West Branches, which converge in the town of Hancock, NY forming the main Delaware. If you haven’t heard, the Delaware River system is considered one of the best technical dry fly fisheries on the East Coast, as well as the world. Our fishing season here starts in early April, goes through the summer and into the fall. The Delaware River system consists of three rivers, all world-class wild trout fisheries - The East Branch, West Branch (where our resort is located) and the mainstem of the Delaware after the confluence of the East and West Branches. Our water temps here on the West Branch stay cool throughout the summer due to the cold water release out of Cannonsville Reservoir. Our rivers are also home to a diversity of bug life which leads to some of the finest dry fly fishing East of the Rockies. Nymph and streamer fishing are also very effective methods for trying to outsmart the local browns and rainbows. The true beauty of our location is in the proximity of our resort to so many great trout rivers within a few minutes drive. So when mother nature throws a curve ball there are very few days when you can't find some excellent water to wet a line. West Branch Resort is also an unparalleled place on the East Coast to host your outdoor-themed event, whether it's a wedding, corporate event or just a relaxing weekend with the family. Our resort is located on the West Branch, about 5 miles south of the dam. The West Branch is approximately 12 miles from dam to confluence. WBA offer 2 miles of private access on the West Branch. The West Branch gets the more generous releases throughout the summer months. The East Branch ends in the town of Hancock, NY - approximately seven miles from West Branch Angler. The East Branch is over 30 miles from the dam to it's confluence with the West.